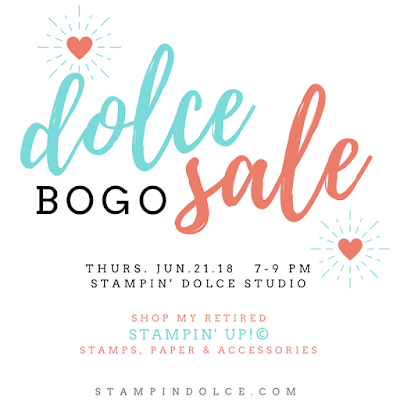 Stampin' Dolce: Retried Merchandise Sale!!! It is that time of year again! I am blowing out all of my retired Stampin' Up!, in stock, merchandise! Come shop my retired Stampin' Up! products (stamps, paper, accessories and more). All products are marked down and are BOGO! Some products have been gently used. *Shopping credit must be used at the BOGO event. *Value of credit is equal to the Merchanidse amount and does not include shipping and tax. All retired merchandise is "as-is" and is a final sale.